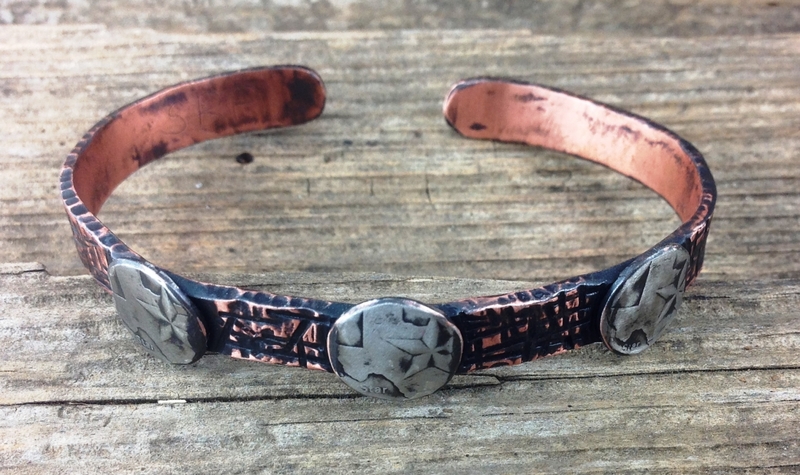 This bracelet is made from 12 gauge solid copper. It is 1/4 wide with a hammered Bamboo texture. It is accented with the center of three Texas quarters soldered to it. It comes in two lengths, 6" for smaller wrists and 7" for larger wrists or just a loose fit. No two textures are exactly the same. the photo it representative of the texture.